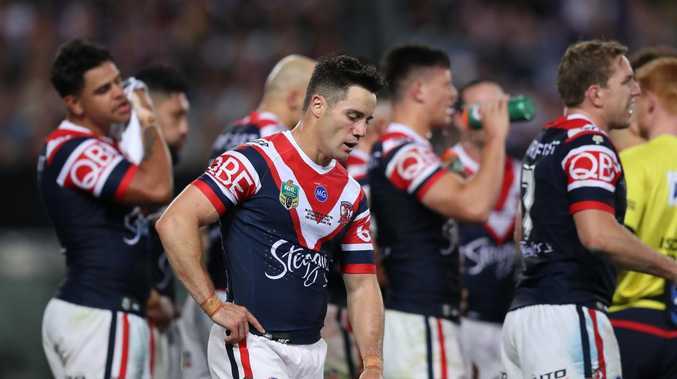 Cronk battled through the grand final with a serious injury. Picture by Brett Costello. COOPER Cronk will be fit to kick off Sydney Roosters' NRL premiership defence after undergoing surgery on his shoulder. Cronk's herculean effort to play through the grand final with a fractured left scapula will go down in premiership folklore, and he was required to have a plate inserted after the match. Hall is expected to miss the opening stages of the season. Photo by Alex Livesey/Getty Images. But the news isn't so good for newcomer Ryan Hall, who is still expected to miss the start of the campaign after tearing his anterior cruciate ligament while playing for Leeds last Super League season.